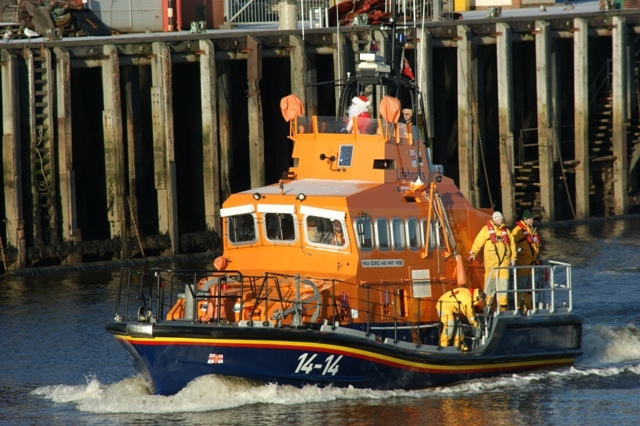 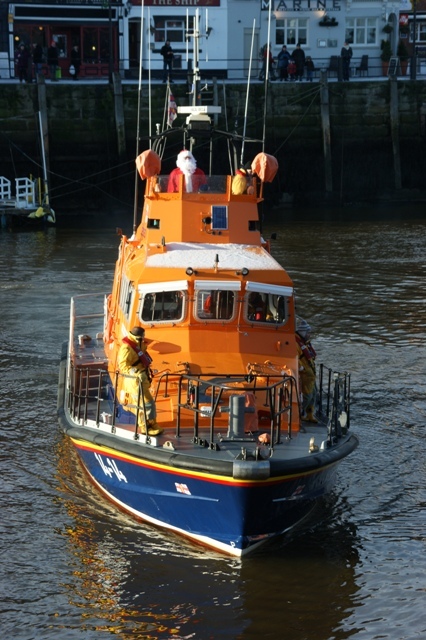 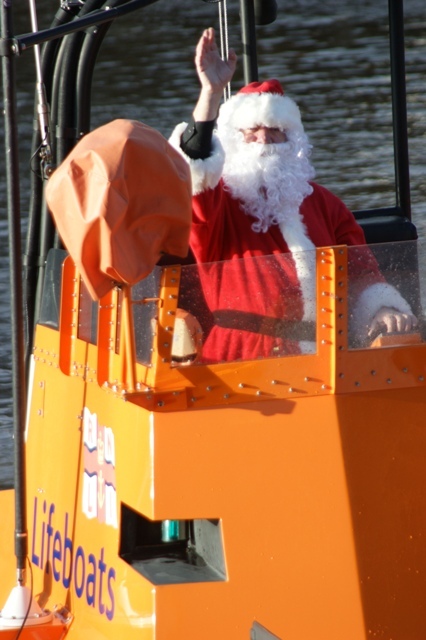 Each year the crew of the lifeboat pull a few strings to have a special visitor for their children. 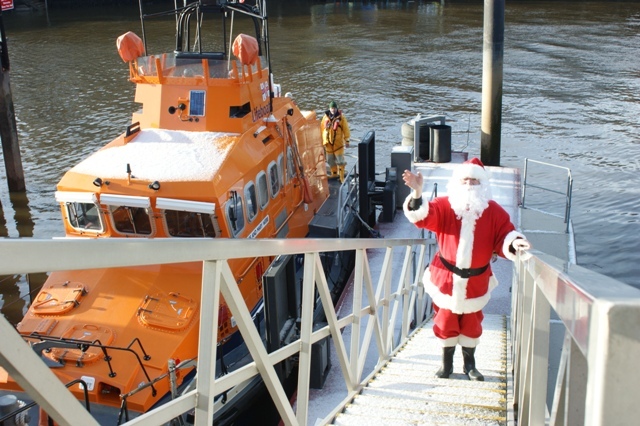 Leaving his reindeer to have a break the lifeboat was duly dispatched to pick up this mysterious guest from a secret location. 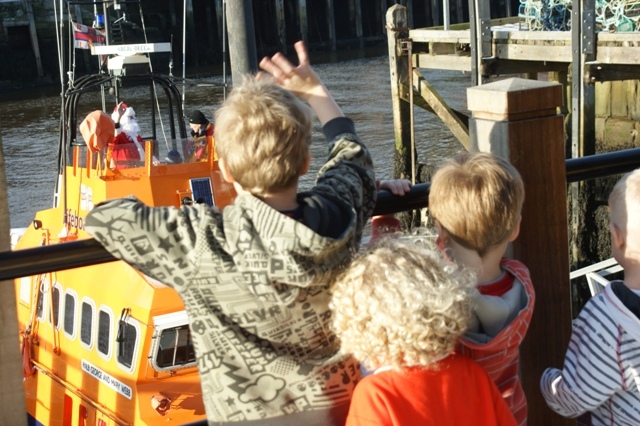 He was even allowed the opportunity of being at the helm as the lifeboat approached the station. 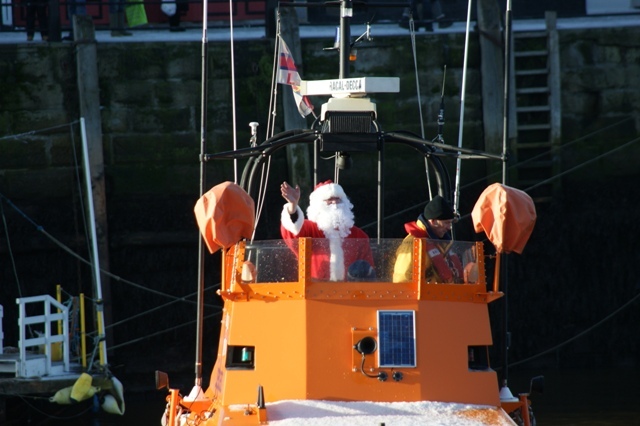 It was a pleasant day for the arrival of santa claus and a day which the kids thoroughly enjoyed.